LeadsBridge Pixel Enhancer is a simple tool which manages with ease the new Facebook Pixel, firing the right Standard and Custom Events at the right time. 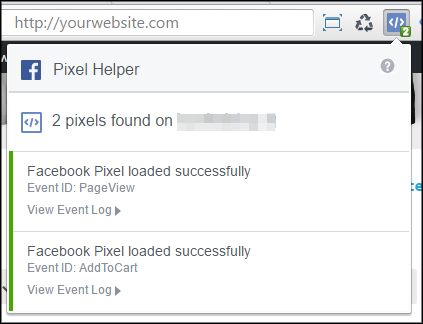 The new Facebook Pixel manage all your advertising needs such as Custom Audiences, conversions tracking and micro conversions tracking. Learn more about the new Facebook Pixel here. 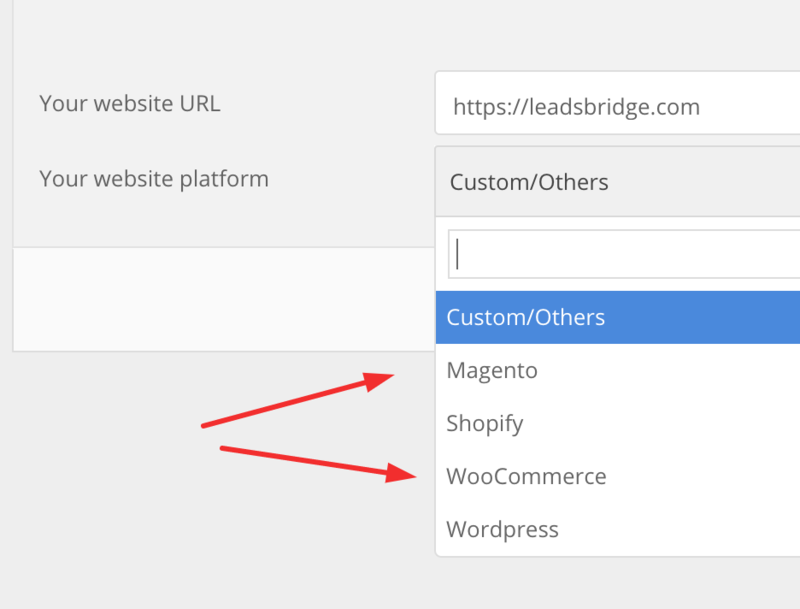 First of all, create your LeadsBridge account, then you can start automating your Pixel. The first step is selecting the Facebook account and the website. Then you can use our pre-made templates where you have all the dirty work done for you. We included the most famous platforms (CMS), pushing the events automatically. You are still free to edit, cancel and add new events as well. In this doc, we are going to set everything from scratch. Once you have selected your platform (optional) just click on the “Next” button. The second step is very important. Right now you might only have the Facebook Pixel code, now you should put the LeadsBridge script which will automate your Pixel rules. The LeadsBridge script must be pasted into the <HEAD> tag of your website code. Be aware that the LeadsBridge script doesn’t substitute the Facebook Pixel Code. Both must be used together. 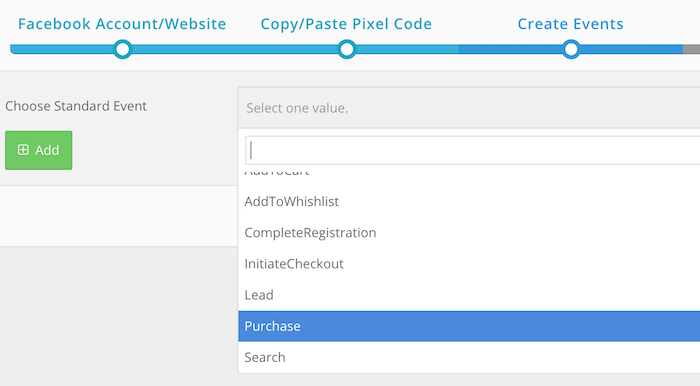 If you have already inserted the Facebook Pixel on your site, it’s not required to put it again. Once you have installed the Facebook Pixel and the LeadsBridge script you can proceed with the next step. Start selecting your event from the drop-down. Once the event is selected you can put the exact URL where the event should be fired. You can indicate multiple URLs as well. No additional settings are required to set up the event, click on the green “ADD” button and your first event has been created! Add as many events as you want (starts again from the Step 3). For advanced event configuration, please refer to our doc here. Your events automation is ready! You can verify that everything is working fine and events firing correctly with the Google Chrome Pixel Helper extension. Download and install it, then just visit the page where the event should be fired, for example, www.yoursite.com/thank-you and click on the Pixel Helper icon. The event should appear there with a green label. If something above is not completely clear, here a video on how to setup the Pixel Enhancer. Now, click on the “Publish” button and you are all set! Enjoy a better tracking on Facebook! LeadsBridge Pixel Enhancer can track advanced custom events and conversion values. To learn more about these settings, please refer to our doc here.